It is important to compare different degree programs offered by various universities before choosing which school you want to attend. Many of us will often gravitate towards some of the top ranking programs. Below are some best nursing schools in the United States, no matter what kind of degree programs or specialities you wish to study. Considered by many having one of the medical programs in the United States and perhaps even internationally, John Hopkins offer a variety of degree programs at their School of Nursing. From pre-licensure to PhD programs and even a range of online options, John Hopkins hosts a diverse community of nursing students. With cutting-edge research, strong community engagement, and state-of-the-art facilities and practices, those who study at John Hopkins are open to a wide range of exceptional opportunities. Areas of Excellence in work and research that are highlighted at Hopkins are: Aging & Dementia Care, Cardiovascular, Chronic Care & Symptom Management, Mental Health & Behavioral Interventions, Community, Global & Public Health, and Quality & Safety/ Health Systems Management. If you are an aspiring nurse with an interest in these areas, then Hopkins should definitely be a consideration. The first Ivy League to offer degree programs for nursing, UPenn’s School of Nursing is exceptional in their research, practice, and academics. Double majors or minors in other subjects such as nutrition are available to students at all degree levels. Additionally, with partnership with some of the top hospitals in the United States, nursing students at UPenn no doubt receive some of the best clinical experiences. Student-to-teacher ratio is kept low, which is a great advantage for those who study at Penn– and even greater is the fact that students are taught by some of the top nurse researchers in the United States. Not only does this build stronger community engagement in the classroom, students are also able to receive better support in their education. However, this means admission to nursing at UPenn can be extremely competitive. Along with various degree programs, UW’s School of Nursing also offer graduate certificate programs for nurses who are already practicing– giving them a chance to sharpen their skills, pursue more advanced positions, and explore new areas of nursing. Similar to many of the schools on this list, UW students have the opportunity to participate in groundbreaking research and be mentored by some of the most distinguished nurse educators and scientists, both in the United States and internationally. Although a Bachelor’s of Science in Nursing (BSN) is not offered at UCSF’s School of Nursing, they do offer a Master’s Entry Program in Nursing (MEPN) for those who wishes to go into nursing and already have a bachelor’s in another field. Along with the MEPN, a Master of Science in Nursing (MSN) program (with many field-related specialities) as well as an online program in Master of Science in Healthcare Administration & Interprofessional Leadership (MS-HAIL) are offered at UCSF. Degree programs are also offered at a doctorate level — either in nursing or sociology. Collaborative medical research is done across five departments within the School of Nursing (Family Health Care Nursing, Community Health Systems, Physiological Nursing, Social & Behavioral Sciences, and the Institute for Health and Aging), and as a result a range of unique research opportunities are available for all students at UCSF. Additionally, upon obtaining a nursing degree, employment opportunities are abundant in the surrounding city of the university. Chance of placement are quite high, and the starting salary one could receive is amongst the highest for nurses in the United States. Alongside typical BSN, MSN, and DNP programs, UNC-Chapel Hill’s School of Nursing also offer a RN-MSN option, a post-master’s program, a doctoral (PhD) program and pre/post doctoral fellowships. Their PhD program in nursing was a first in North Carolina. With a great clinical program that is in partnership with some of the best health-care facilities in the state as well as the United States, students not only get the best hands-on learning experience but also a variety of research opportunities in renowned facilities. They are known for their research and work in the prevention and management of chronic illnesses. Not only that, but graduated nurses have a high chance of employment due to an increasing demand within Raleigh, Durham, and Chapel Hill. They also earn some of the highest salaries for nurses in the United States. One of the fastest-growing nursing programs in the United States, the University of Michigan’s School of Nursing (UMSN) at Ann Arbor offer BSN, MSN, and PhD programs in nursing. Their graduate (MSN/DNP) programs is split into two paths: Advanced Clinical or Systems, Populations & Leadership. With a strong focus on clinical placements and global opportunities, nursing students at UMSN receive some of the best equipments to practice medicine and perform research. As an added bonus, the school also have partnerships with world-renowned health organizations as as the National Institutes of Health and the World Health Organization. At Duke University, programs in Accelerated Bachelor of Science in Nursing (ABSN), MSN, DNP, PhD, and Post-Graduate Certificate are offered through their School of Nursing. Additional programs include a Graduate Certificate in Health Informatics, a DNP in Nurse Anesthesia, and a Postdoctoral Fellowship. For practicing nurses who wish to take classes for either personal or professional enhancement can consider their Non-degree Enrollment Option. Ranked first by the U.S. News and World Report for Graduate School for Nursing as of 2018, those who aspire to become nurses should definitely consider Duke University. Those in their nursing programs also benefit from increasing demand for nurses and clinical research within Raleigh, Durham, and Chapel Hill. With five regional campuses, OHSU offer a variety of programs in BSN, MSN, DNP, PhD, and continuing education. Some of these degree programs are offered online. OHSU has a strong focus on rural medical practice, with clinical experiences in hospitals that are outside major cities. They also have leading initiatives such as the Interprofessional Initiative to encourage a team-based, patient-centered care in professional nursing practice, and revolutionize nursing education. Like many Ivy League schools, the University of Pittsburgh is known for high academic excellence and world-class research. Programs at their School of Nursing include BSN, ABSN, MSN, DNP, PhD, and an RN Option for Early Admission to MSN/DNP. Students enrolled in either the MSN or DNP program also have the chance to choose from a variety of minor options. Online programs for graduate degrees are also available, along with several certificate programs. With an excellent reputation for education, research, and nursing practice, it is no doubt that admission to the University of Pittsburgh is extremely competitive. 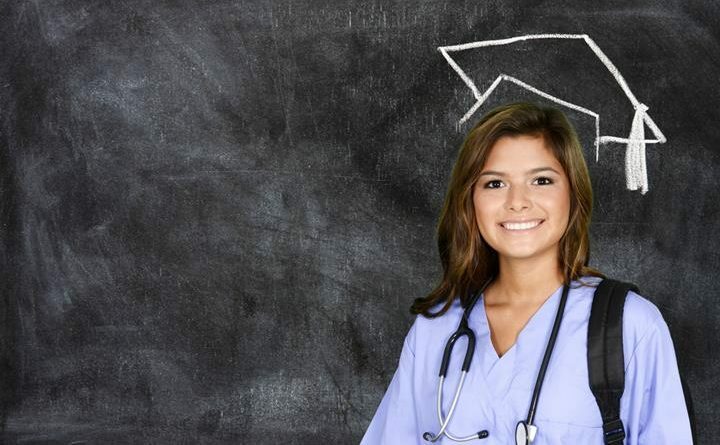 As of 2016, 96% of incoming freshmen to their School of Nursing were placed in the top 10% of their high school graduating classes. An Ivy League continuously known for their academic prestige across a wide-range of fields, Yale’s School of Nursing offers MSN, DNP, and PhD programs. They also offer Graduate Entry Prespecialty in Nursing for those who wish to enter the MSN but do not have a nursing background. Several Post-Master’s certificate options are offered as well. Additionally, there are two joint degree program options available: in nursing and divinity (religious/social ministry) or in nursing and public health. At the forefront of evidence based care, those who choose to study at Yale are no doubt exposed to great facilities, mentors, and opportunities. Medical Assistant: Is This The Right Path For You?